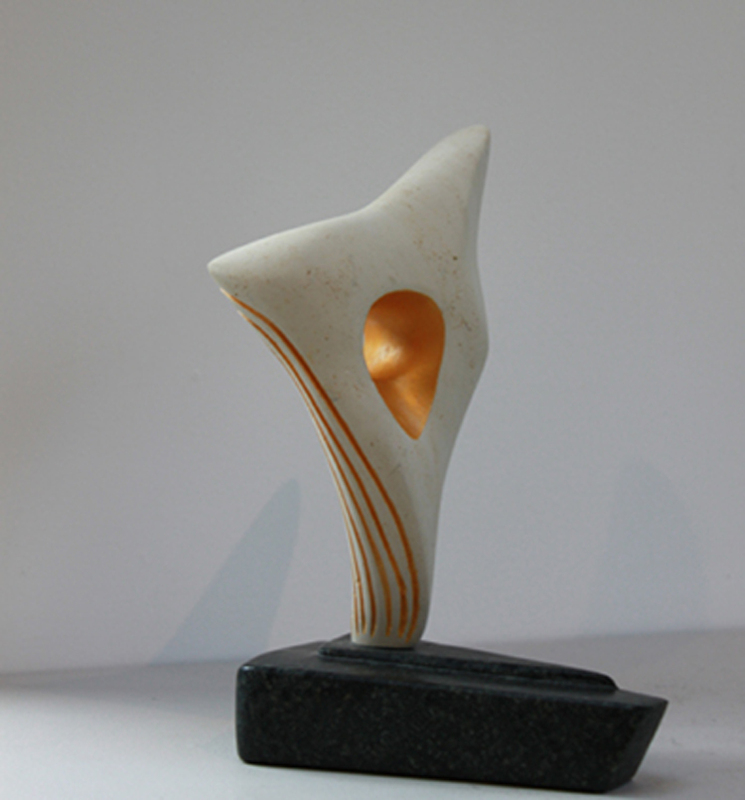 Landscape Vision is a unique sculpture hand-carved by Marko in Gozitan limestone. It has a Polyphant stone base. Gold stone paint is used to highlight the carved furrows and the centre. Measurements : H23cm x W14cm x D15cm overall.